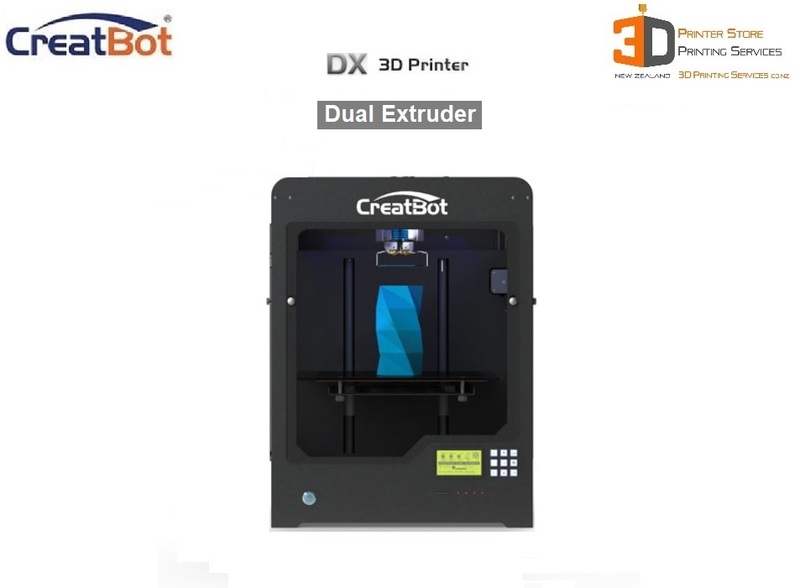 With 2 high temp Extruders, Free Training, & Free Calibration, Creatbot DX 3D Printers are targeted to product development studios, manufacturing houses, and serious 3D Printing Professionals. These robust 3d printers are capable of delivering commercial quality results in industrial applications. 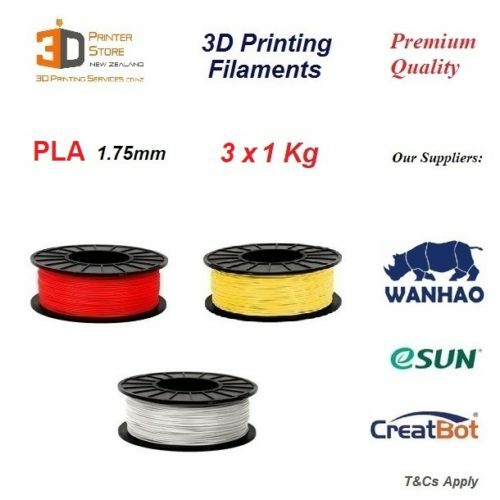 A highly reliable 3d printer that is at home in everything from a home office through to a factory floor – now at an unbeatable price. With 2 high temp 400 deg C Extruders, Free Training, & Free Calibration, Creatbot DX 3D Printers are targeted to product development studios, manufacturing houses, and serious 3D Printing Professionals. These robust 3d printers are capable of delivering commercial quality results in industrial applications. All our Creatbot DX 3D Printers in New Zealand feature the advanced 400 Degree C high temp extruder. 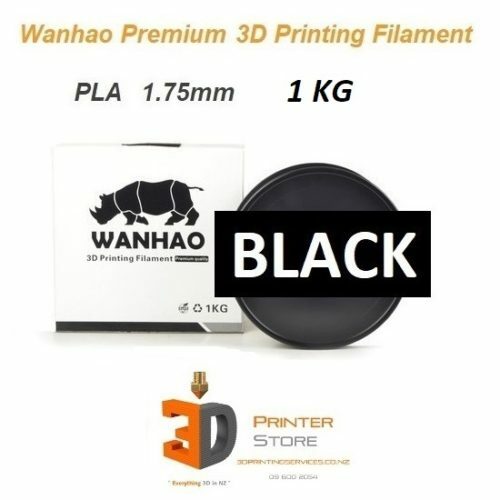 Watch out for older models that have the 250 deg Extruder version which does not support materials that need to go hotter to print reliably thus reducing the material compatibility. Layby & Terms Available – please Contact Us to arrange! 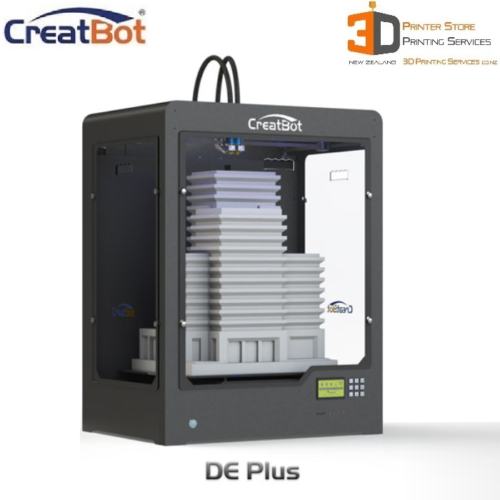 EVERY CREATBOT 3D PRINTER WE SELL IS INDIVIDUALLY TESTED BEFORE IT IS SENT TO YOU. EVERY ITEM WE SELL HAS BEEN TESTED BY US BEFORE LISTING IT FOR SALE. If we are not happy with the quality & performance, we dont list it. This is our promise to our customers. 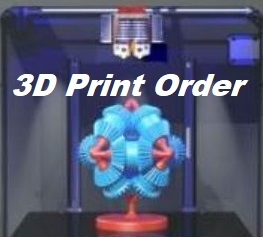 3D Printing Services is an Authorised Reseller of everything we sell. We do simply buy products overseas & then drop ship them to you – we back everything with a Full Suite of Local Services. Got a power failure? No problem, the creatbot will resume printing when power is restored! Every single CreatBot that leaves the factory has been tested for over 100 hours – Thats their level of commitment to Quality Assurance! If you want Big parts Fast & want the ability to print almost any material out there, this Creabot DX with a 400 degree C extruder will deliver like no other. 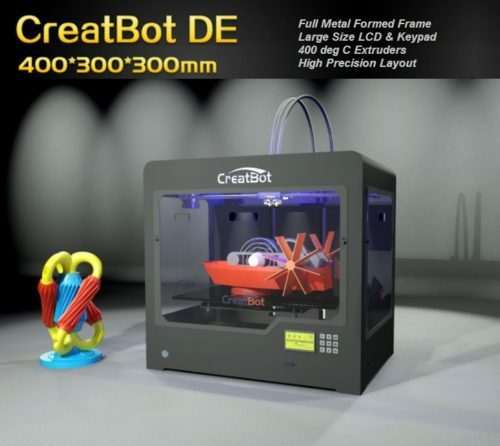 If you want a 3D Printer that will deliver in literally any environment, the Creatbot DX is it. This printer weighs 30Kg for a reason. This weight allows for amazing stability during prints, which means layers are not affected by vibration or external forces. 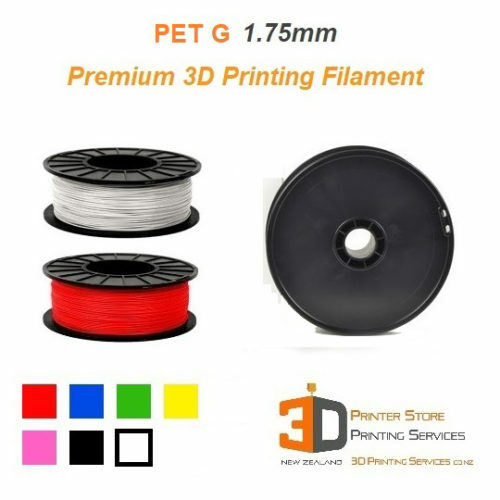 Whether you want to print functional industrial grade temperature resistant parts using specialty plastic filaments like ColorFabb HT, or print highly durable parts with Carbon Fibre – this 400 deg capable 3mm bowden extruder will take care of it! The CreatBot has Powerful Extruders – upto 3! 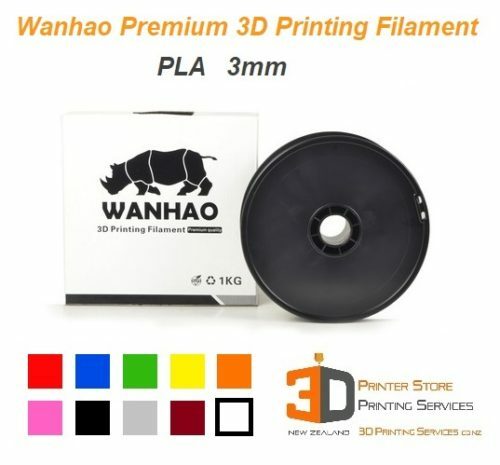 You can print with 3 different materials on a DX 03. Please contact us for more details. Resolution: 100 – 400 micron spec (with 50 micron capability when fine tuned) 0.05mm – 0.4mm layer height. 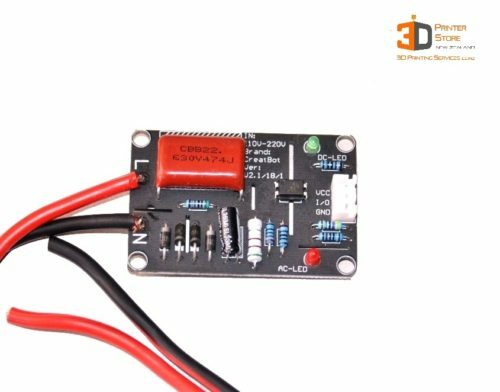 Automatic resume on power in case of power loss. Auto shut off after print completion. Quick access keypad buttons with shortcuts. CreatWare (Cura based) 3D Printing Software thats easy to use for Beginners with a Simple mode, & powerful for Advanced users with a Custom mode. The DX is also available in an even larger DX Plus model.